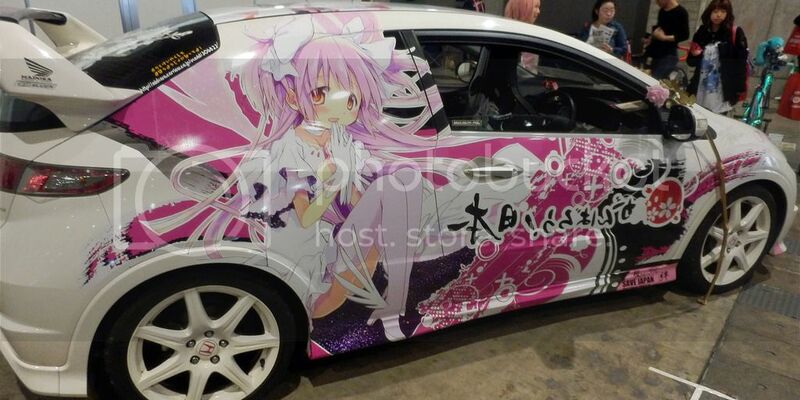 Talking about this kind of livery, which is called "itasha" in Japanese, is to paint your favorite characters from anime or video games on the livery of your car. To show your support to the specific franchise/character. From now on, I'll keep making these with all available resources. As long as I have time, this thread will get constant update. 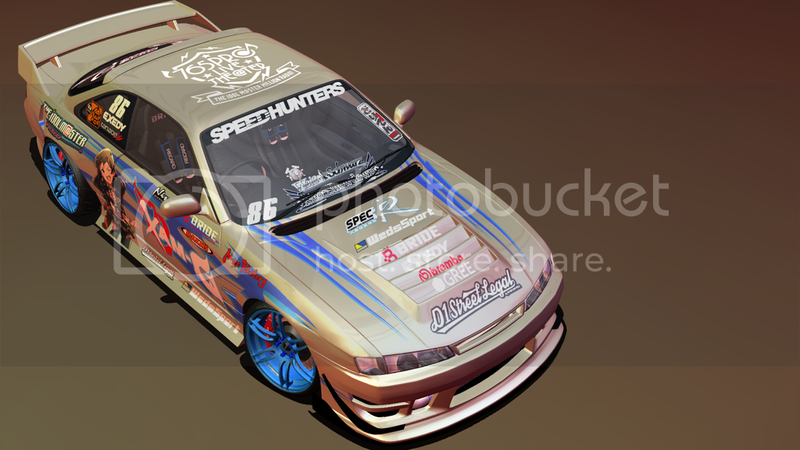 After making a whole bunch of race cars, it's time to work on some street tuners/drifters! 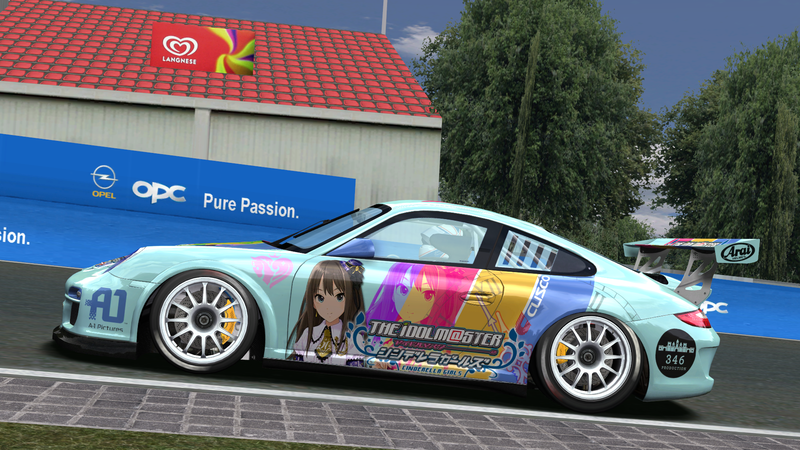 So, Shiho-chan finally get her first livery finished! 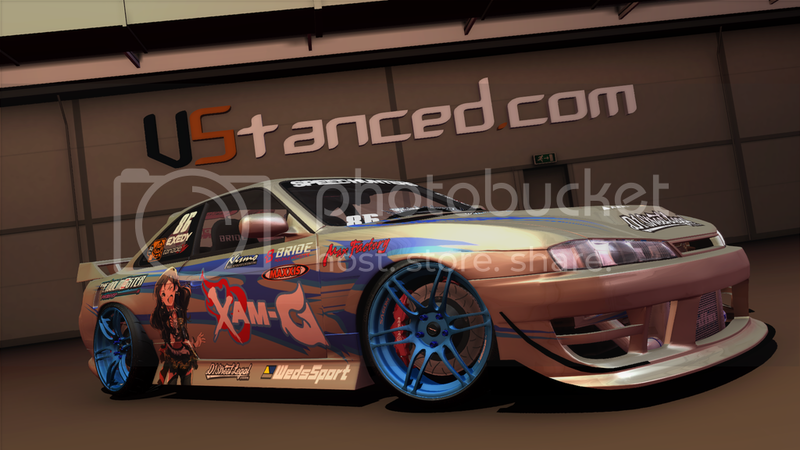 And it's a nasty one: The Nissan Silvia S14 with some vicious upgrades. 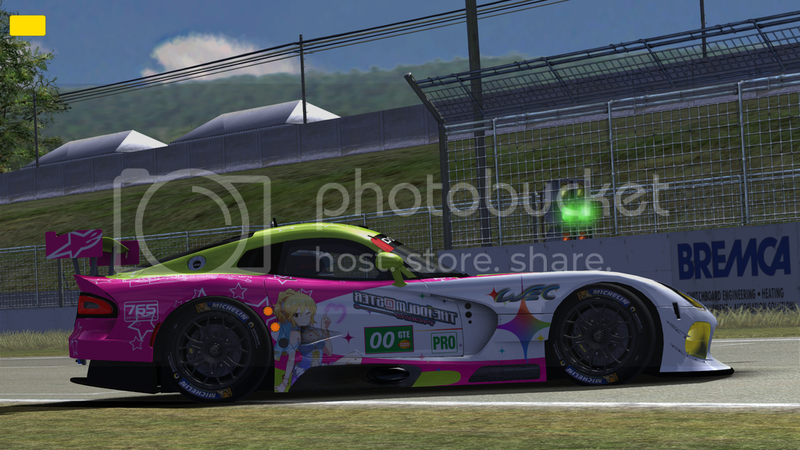 The most obvious update is the bodywork. 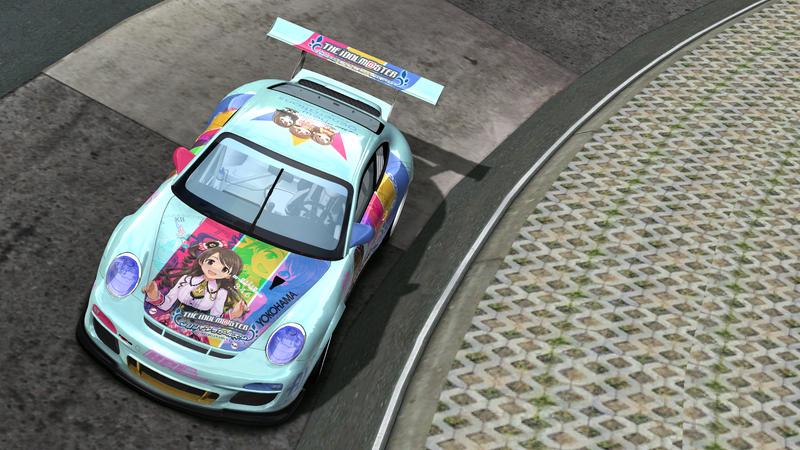 Vertex Lang front bumper gives this car an aggressive look, it also reflects Shiho's somehow hostile personality. 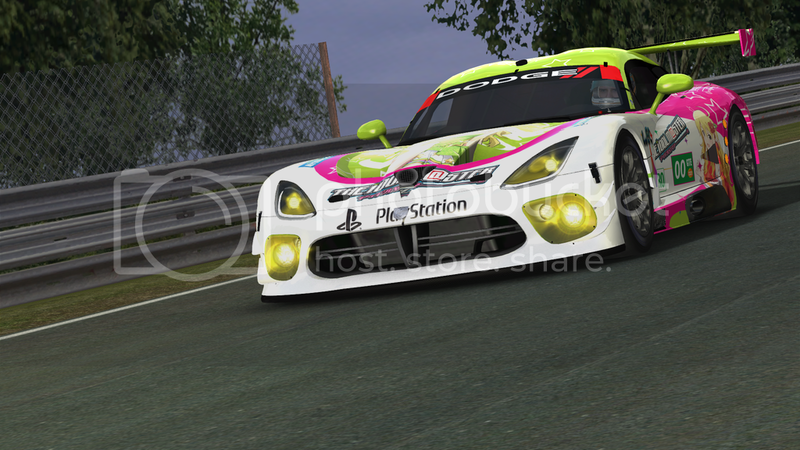 The track width is also increased to handle the brutal power delivered from its swapped Toyota 2JZ-GTE engine. 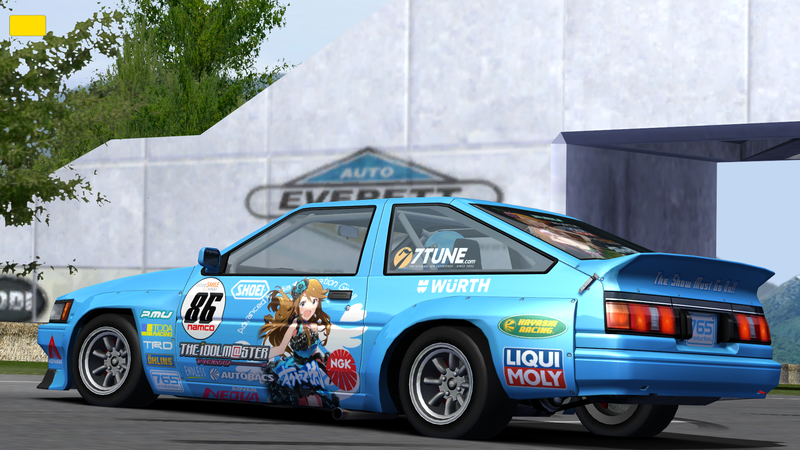 And today, Shiho's livery is finally getting its reboot! 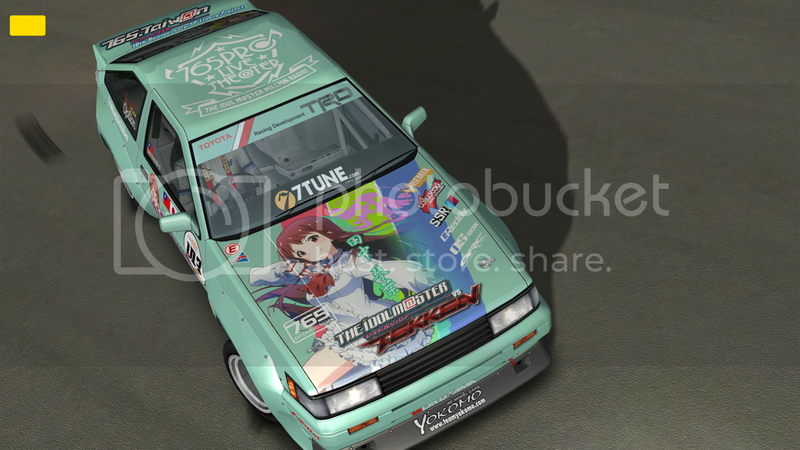 As I'm gathering all the characters into this AE86 league, she's not gonna be an exception. 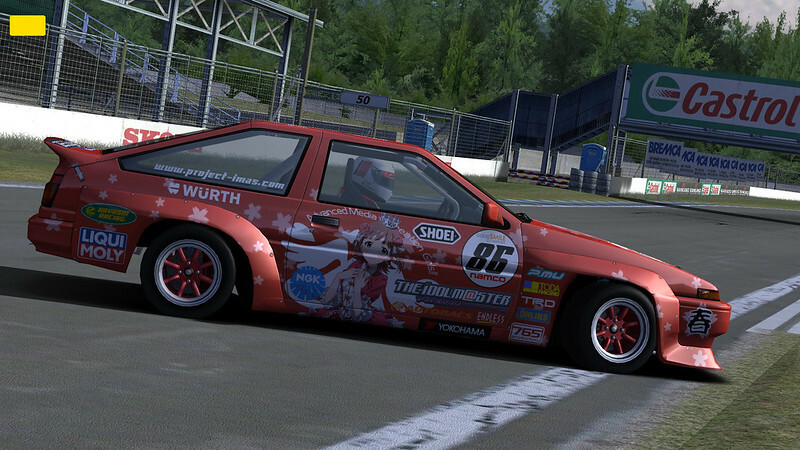 So here she is, the first preview in rFactor Vehicle Viewer! 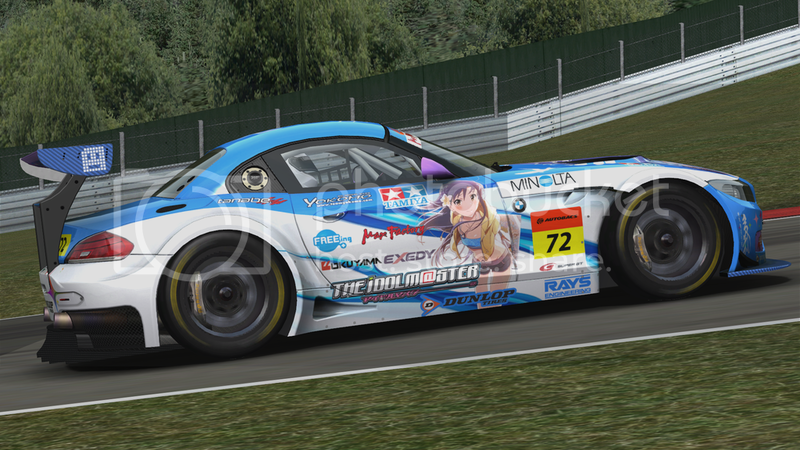 I've only finished fine-tuning of the window on the passenger side, will start working on the other side tomorrow. 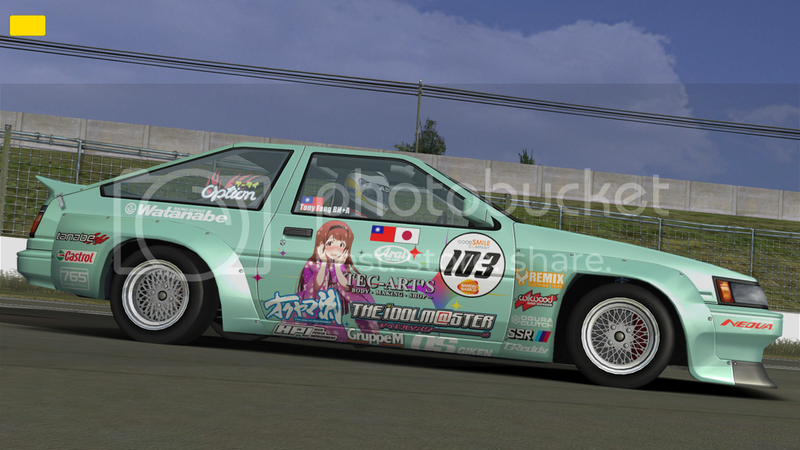 Also, I've made my 3rd livery for our lovely Chi-chan! 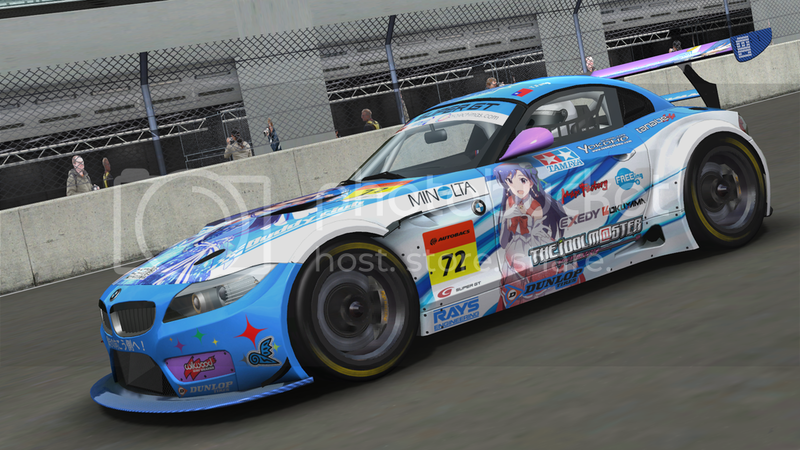 This one was inspired by the long-living Miku Z4 driven by Team UKYO, new sponsors like Max Factory and FREEing are now in position. Finally! 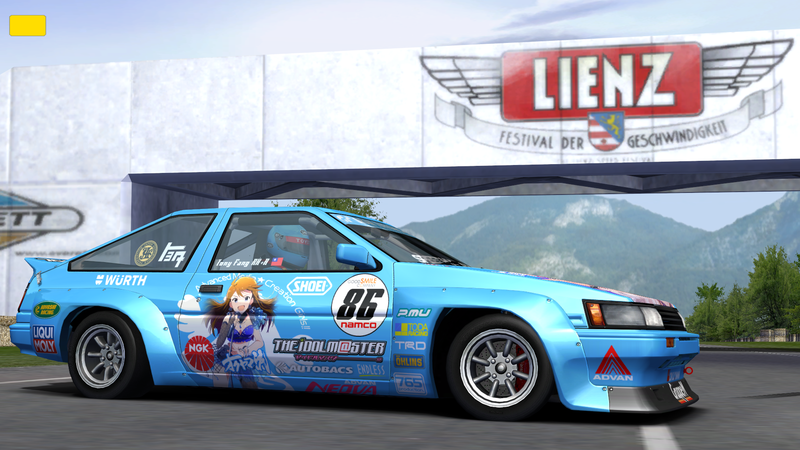 Chihaya's livery is nearly finished, I think it looks OK, but still need to change sponsors and maybe the vinyl - not major changes, but it'd be better than what it looks like for now. 1. 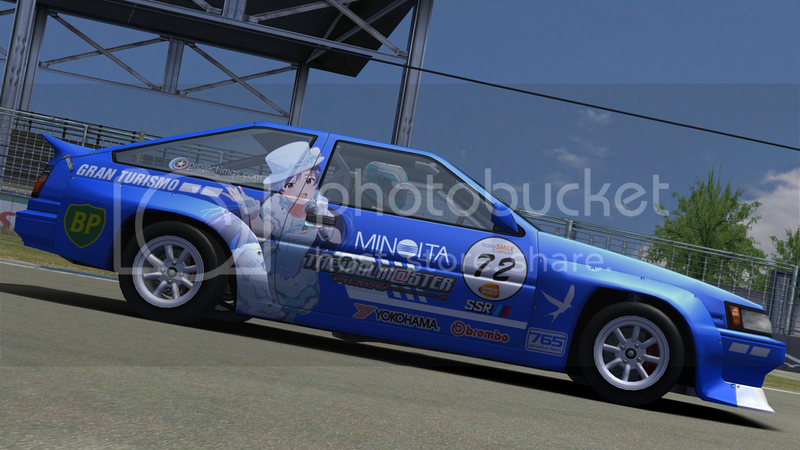 Referred to real-world race cars of teams sponsored by Minolta, like Toyota Supra Group A Touring Car raced in 1987~88. 2. Character portraits are now much bigger than they used to - no more crowded doors! 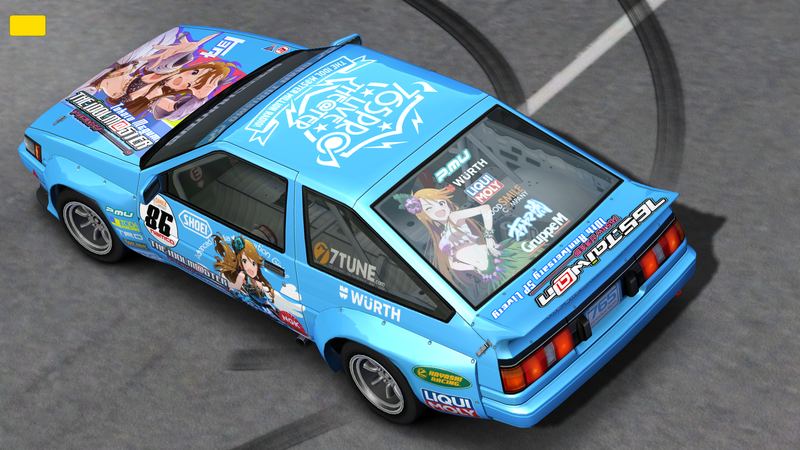 Now windows become a part of the paint job. 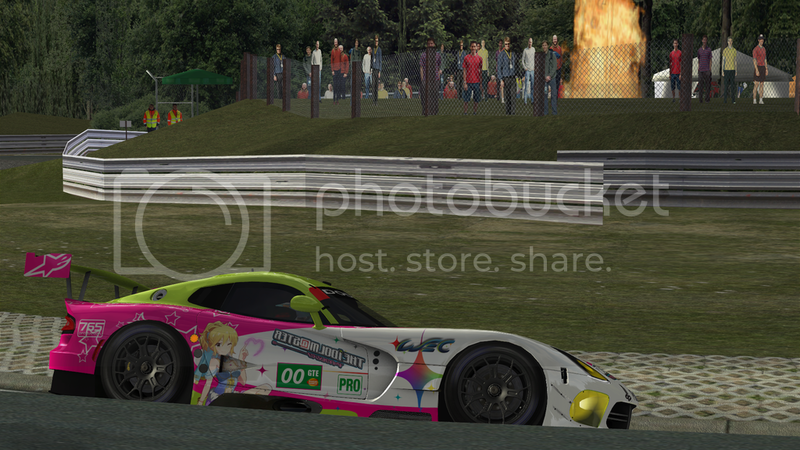 I was going to use Nikon as the sponsor since it's a bigger company but again, I want to stick to Japanese companies since The iDOLM@STER is a Japanese franchise. 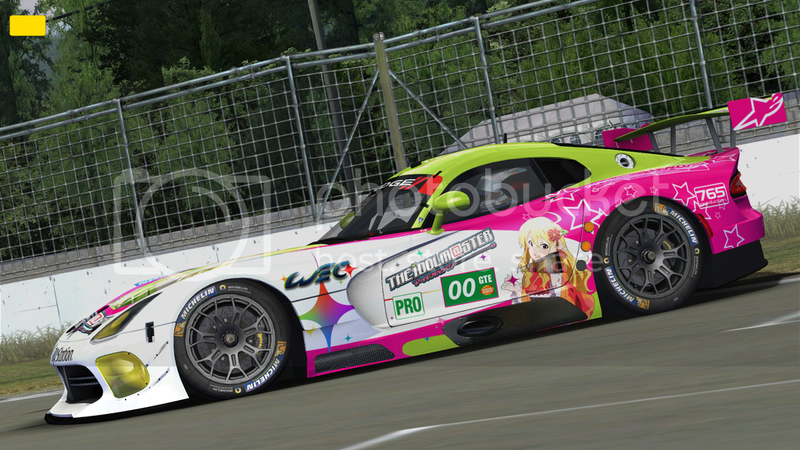 Enough of trash-talking, here's the livery!! 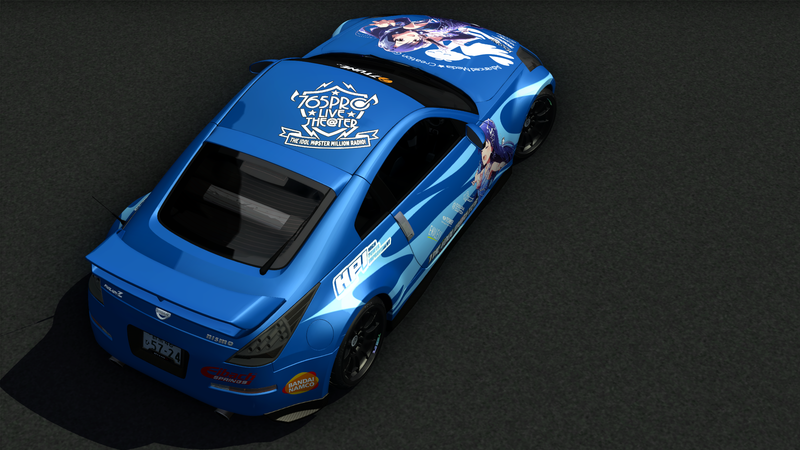 Yeah rear windshield is a bit messy but this is it for now. Okay, here's one of my old work I've never shown before. It's from a really old game called 'Street Racing Legal: Redline'. The game is based on Java script, your car can be separated into pieces - bodywork, engine, chassis and running gears, they're all detachable and can be re-constructed with newer, better parts. 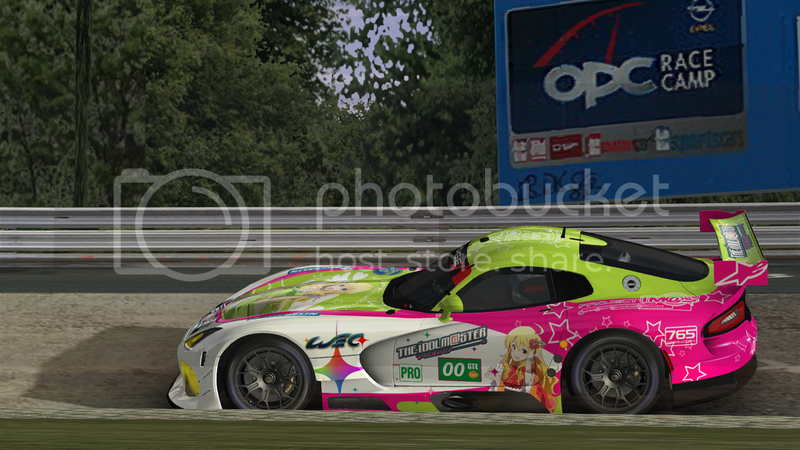 I've only learned about how to make livery for this game recently, so the result may not be as good as I did in rFactor. 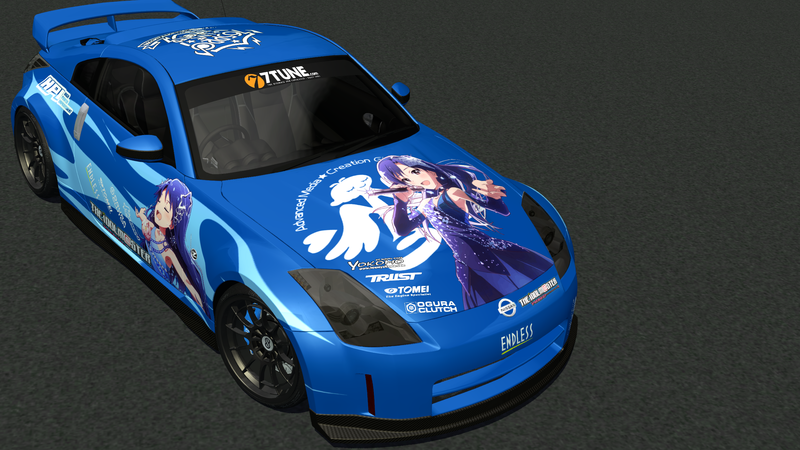 Anyway, the first livery still features Chihaya, and the car is Nissan 350Z S-Tune. And why did I call this one a 'ReMIX'? 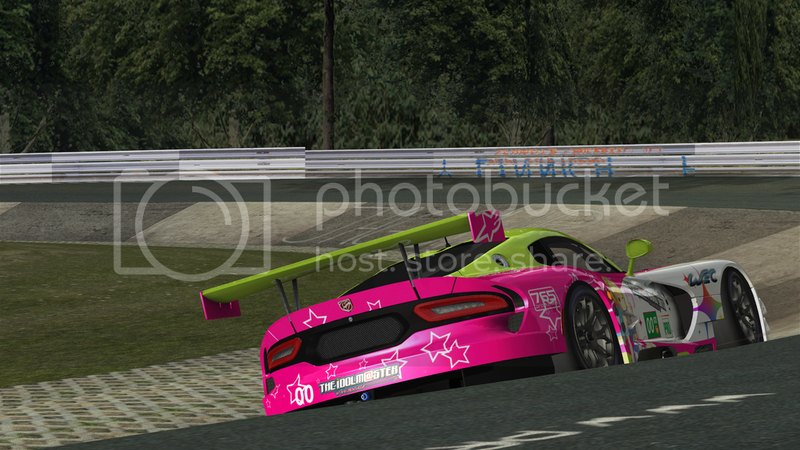 Because I used aero parts from both 2005 and 2007 versions of the car. WARNING: VERY LARGE SIZE PICTURES AHEAD, READ AT YOUR OWN RISK OF BANDWIDTH. 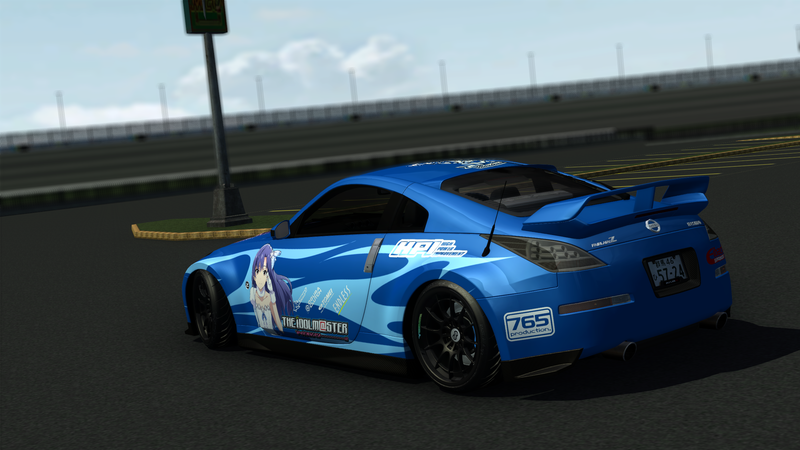 Since you only apply decals onto your car, there's not much you can do but making a glossy livery like the car itself... which bothers me a lot. 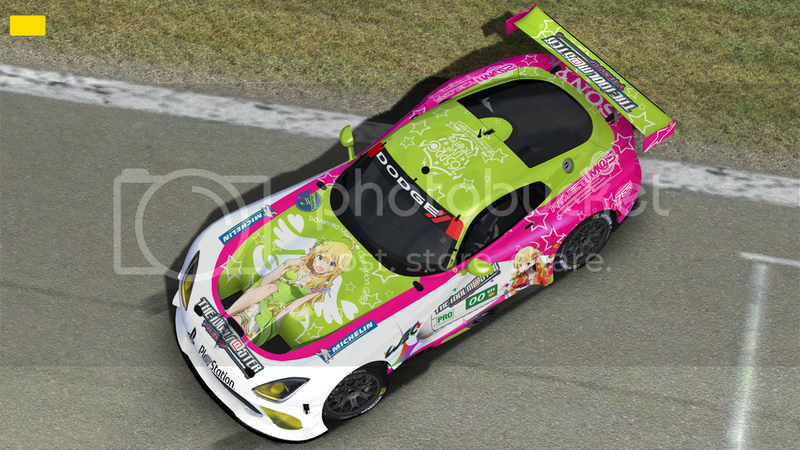 Alright, finally made a livery for Haruka! 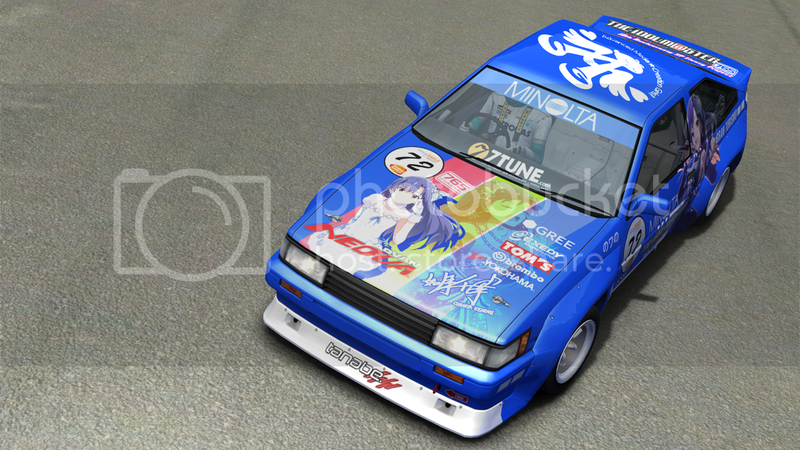 Only with a older, classier race car this time: The Legendary Toyota AE86 Sprinter Trueno!! 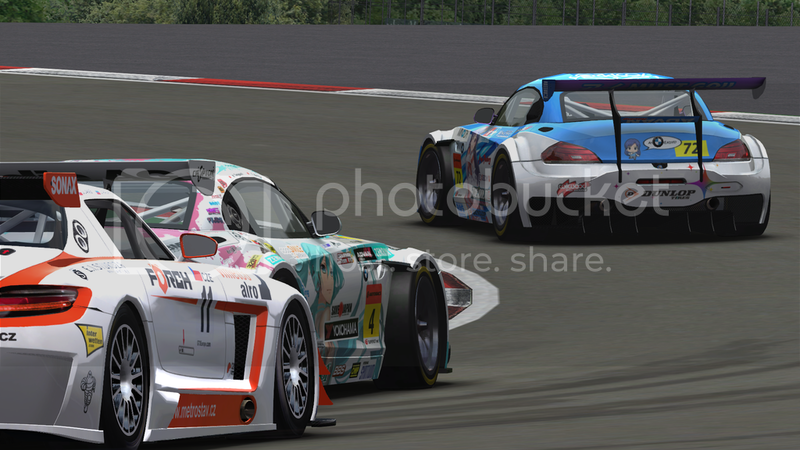 Previous mod I used doesn't have good templates (IMO,) and I decided to use another mod called Endurance Series. So, my latest creation is nearly finished! 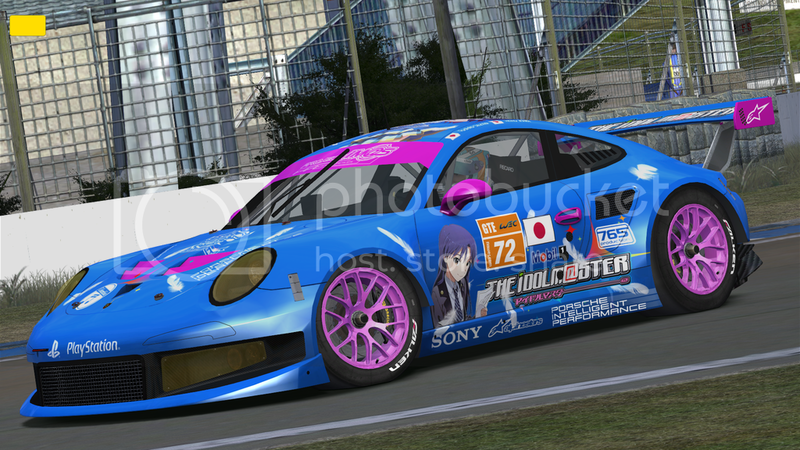 For some reason I don't have idea thus I kinda can't keep going with Shiho's livery (sorry kiddo, but Onīchan has to put you off for a while,) so I just postponed it. 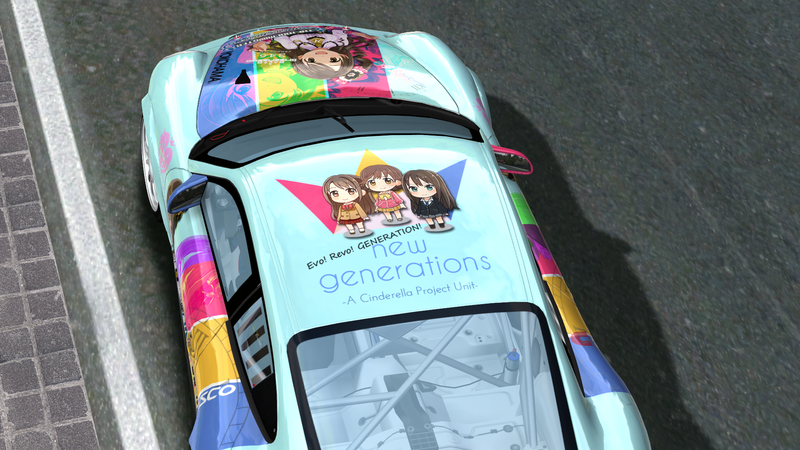 This is the replacement for her: The New Generation from Cinderella Girls! 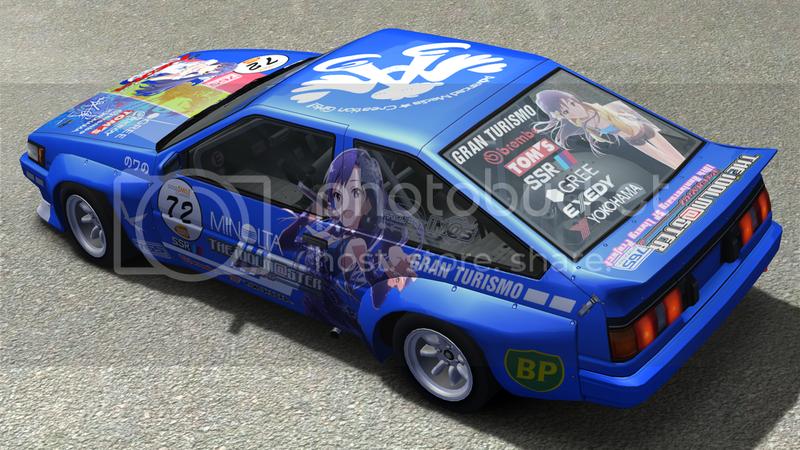 Basically I didn't plan to make CG liveries, but since I found this render of the main trio, I was like 'Why not just try it?' and the result is this. 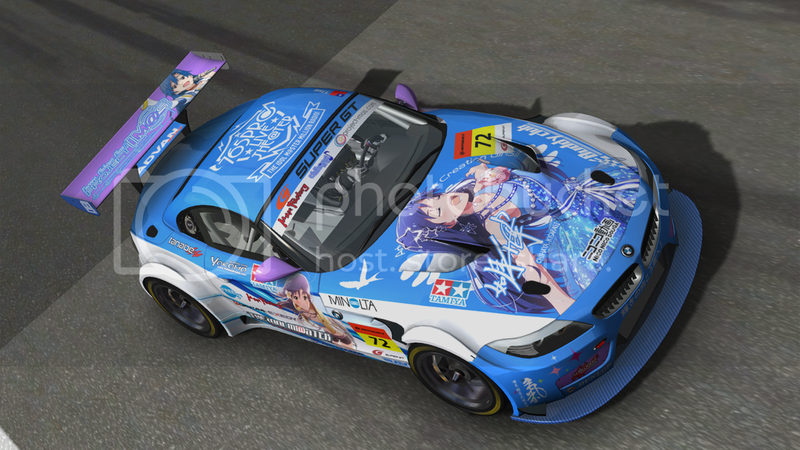 Re: Project CARS vs Project IM@S: Oni's Itasha Livery Creation. 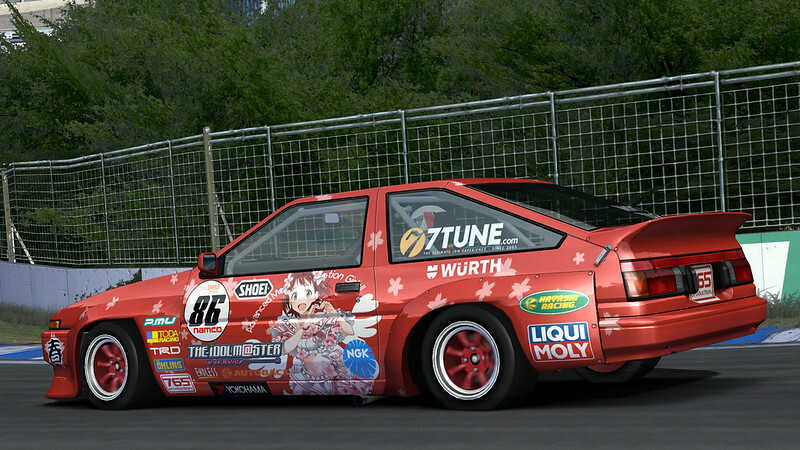 How is Project CARS anyway? 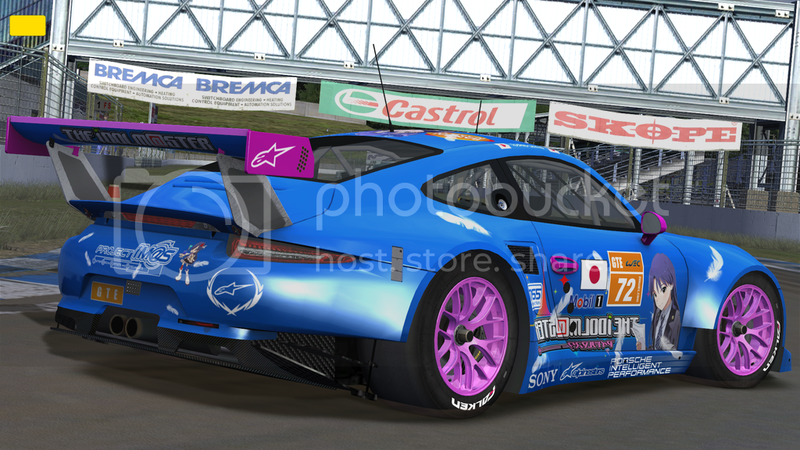 I originally heard some negativity surrounding it during the alpha stages of the game, especially with Assetto Corsa having achieved so much in its early stages. 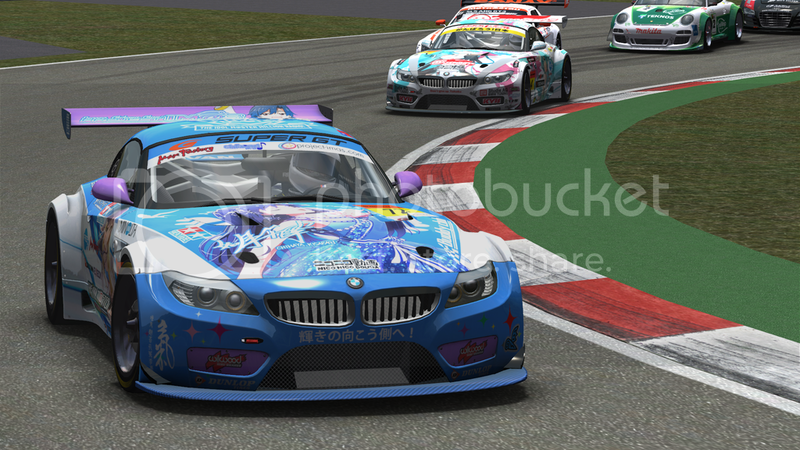 Overall I think Assetto Corsa wins, but driving in in the rain with Project CARS... that's really amazing. 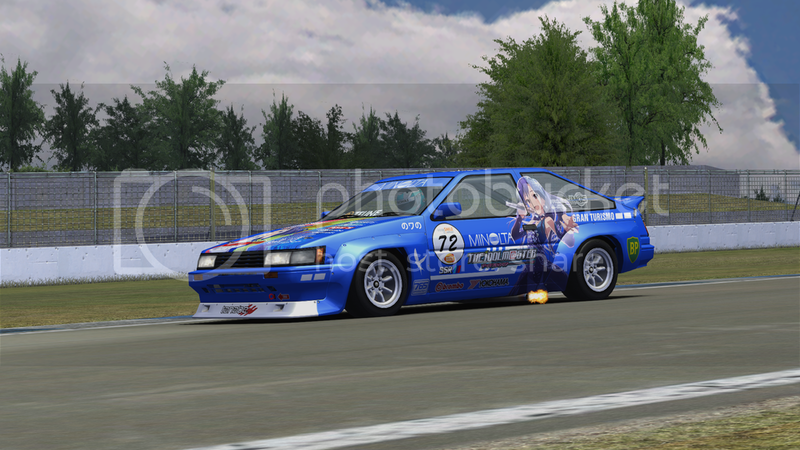 Re: Their stage continues to racetrack! 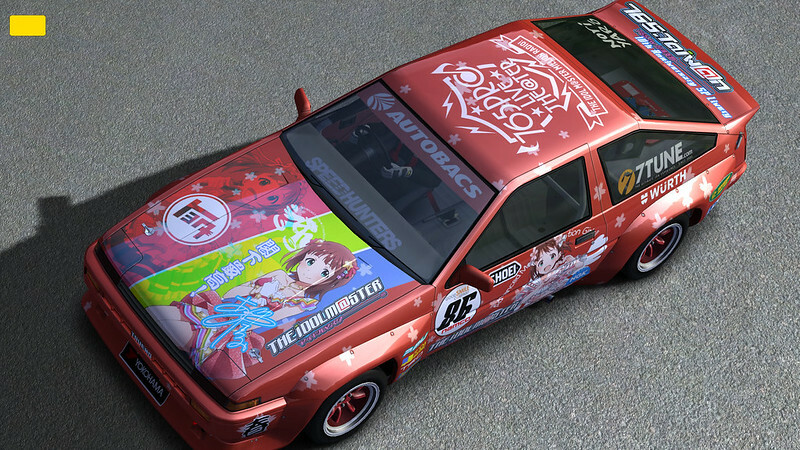 Oni's Itasha Livery Creation. 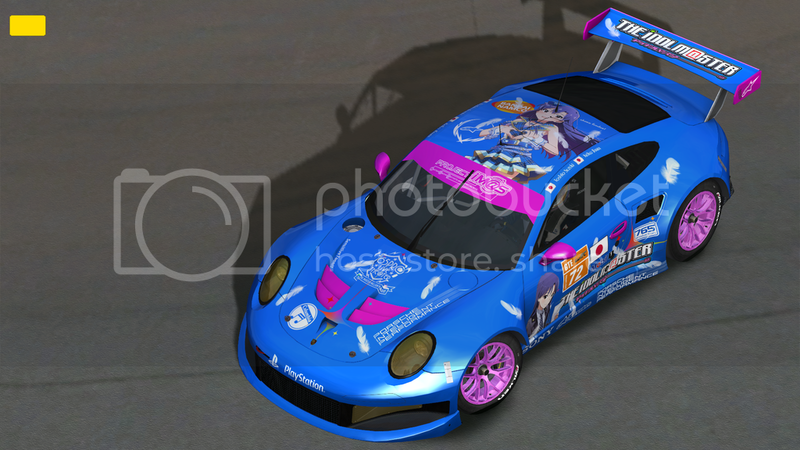 And Chihaya's Porsche got revised, although only some small parts are modified, but I think it looks better now. These look nice! All of them! 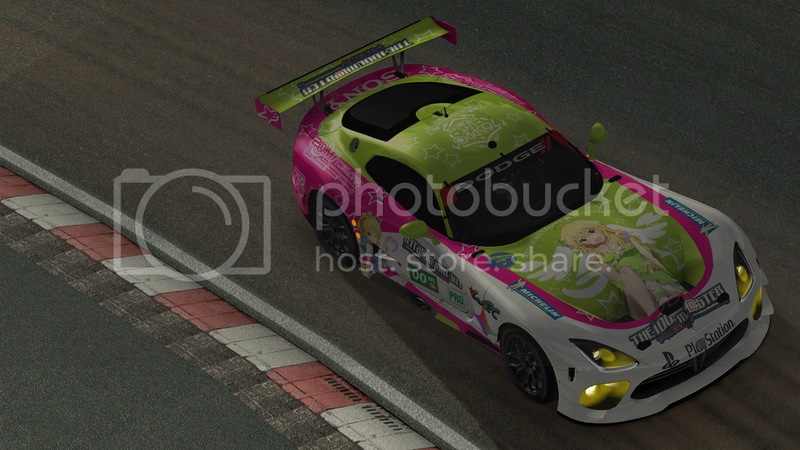 Thanks, although some car has bad templates, I'll still try my best to make liveries for them. Sorry for asking, but am I the only one that doesn't see any pictures? 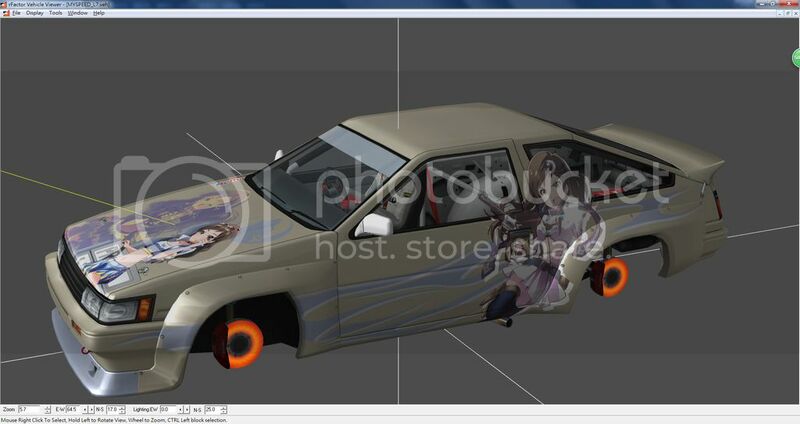 Photobucket seems not to work until I copy the URL, enter it AND THEN click "enlarge picture". You don't see them? I'll try switching picture host then, sorry for inconvenience. I see them fine. I'm not sure why they aren't showing up for you. I'll admit I thought those cars were real when I first looked at them. 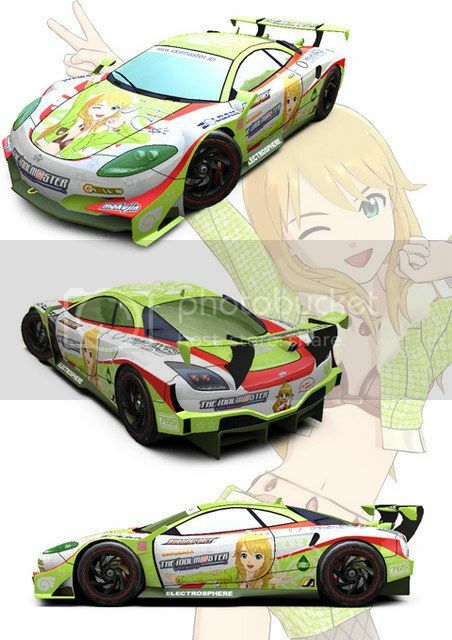 Miki took some exercise at Nordschleife!! I know nothing about cars, but I'll chime in and say I think these look very nice. They really look like real cars. 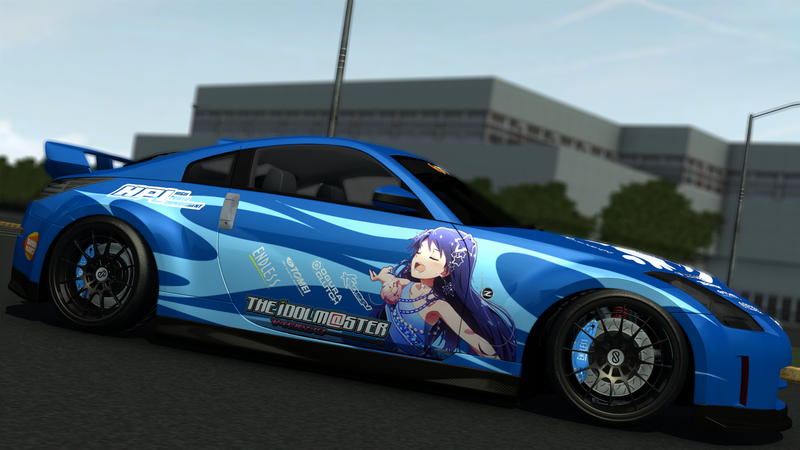 I'd drive one if they were real. Thank you for supporting my works! 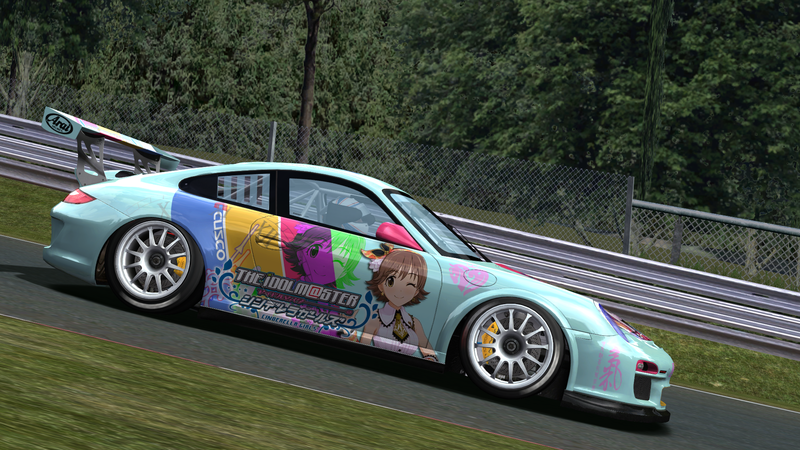 Also, it's totally possible if you want to make your car look like that.